They are looking to have an adventure. Buying a boat overseas is EASY and FUN. Are you planning on sailing the boat home (and having the ultimate adventure), or do you want to keep it overseas? Read more about the International Cruising Dream. Do you want to cover your costs/re-coup your money? What will you do with the boat at the end of the adventure? Will you stay in a region for a season before moving on or will you move continually from point to point towards your destination? 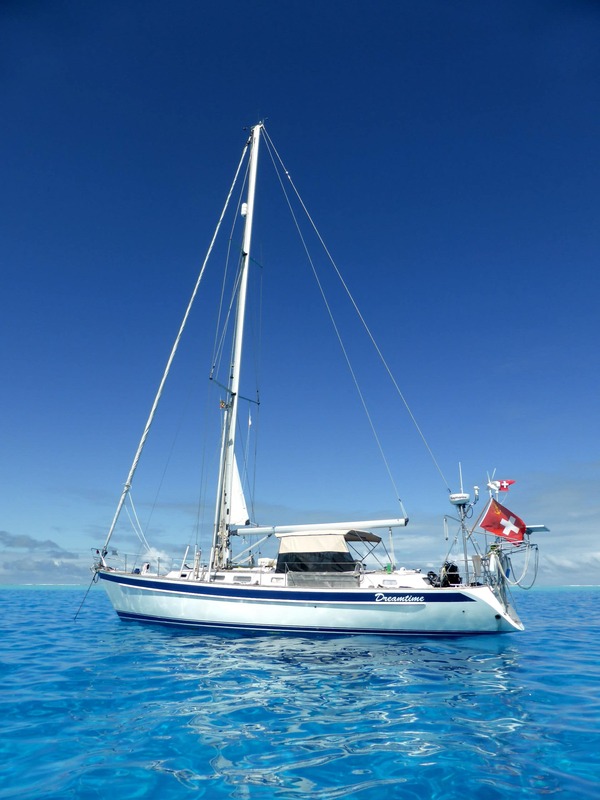 Will you sell the boat overseas or will you sell it in Australia? Read more about Selling your boat in Australia. Where will you buy the boat from? The Pacific, SE Asia, Europe or the Caribbean? When people are looking to buy a boat overseas they are often concerned about the distances and the time that they have. Most people on first consultation tend to be conservative and buy closer as it seems easier to them. Generally we try to encourage people to buy further away. We know that it is the ultimate adventure and we want no regrets. Cruising is easier than most people expect. We are often asked the difference between buying in the Caribbean vs buying in Europe. Ultimately is is only an extra 5 weeks in real sailing time, so often time restrictions do not really apply. We have noticed that customers who buy their first boat in the Caribbean; and who are lucky enough to have a second adventure will generally start further away, this time starting in Europe. Currently there are significant savings when buying in Europe. We tend to direct people to the better adventure and the better buy. Better buying is tied to exchange rates. For Australians the exchange rates are in our favour for buying in Europe and the US. There are a lot more boats for sale in Europe and less space for boats over there, that’s one of the reasons why boats become available. In Europe, the local market has become quite depressed, but conversely in Australia it is buoyant, this is also in the Australian buyer’s favour. Buying in Europe is a more cultural & historical experience, it’s more interesting. Buying in the Caribbean is more laid back, relaxed and more social. It depends on your situation, what kind of experience you want and your family circumstances. We try to encourage people to buy boats further upwind from Australia. The route from Europe to Australia is predominantly down wind and is usually an easy run. Often described as a “milk run”. Australia is the ultimate destination. Read more about why to choose Australia. If truly time poor, the other option is buying closer to home in the Pacific. Places like Tahiti, Fiji, New Caledonia. There are boats available there on a regular basis. The boats in this region tend to be more expensive. Our biggest recommendation to our customers is to get involved in the rallies. These rallies have been set up and are valuable in that they provide you with information, benefits and support through your journey. Read more about Cruising Rallies. In choosing a boat, the one thing we have found is that there is no right or wrong category or brand of boats. Successfully circling the world right now are the heavy displacement boats, which traditional cruisers used to sail and recommend, but now it’s heavily weighted in popularity towards modern production boats. Through sheer production volume and value for money, these boats are successfully blue water sailing and they provide a good safety record and re-sale value. 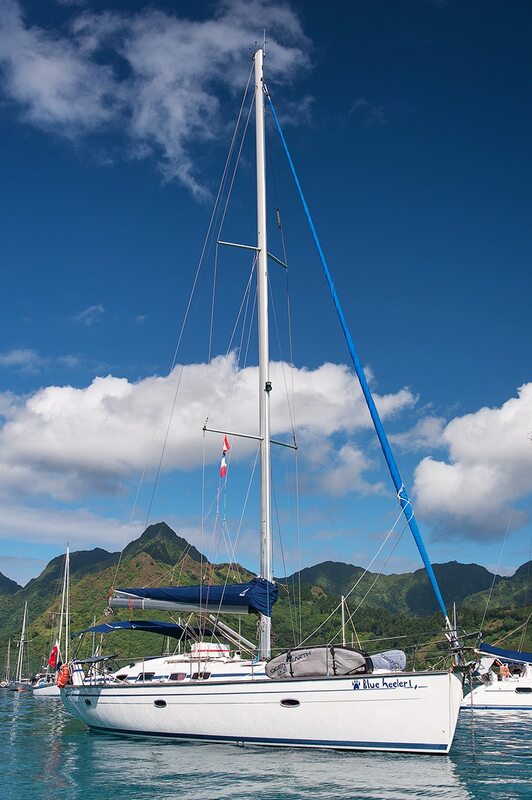 The most recent trend (if you have the budget) is towards multihulls. Multihulls have progressed through the dark ages where they did break up and capsize. They now have better production methods, they are safe, spacious and successful and popular with the new generation. Many customers are happy to buy the boat in a destination of choice…use their boat and maybe after several years of enjoying the location, reselling. This is a great option as living aboard your own boat is a low cost way of enjoying the area. Being on a boat you have some control of expense. Depending on where you are, you can live on the cheap, e.g. lots of anchoring out, or you can live the high life in marinas…all options are available. Moving around this region by boat is still quite free and unregulated. It is important that you research all requirements, visas etc. beforehand to be aware of tax situations depending on where you are and for how long. This is particularly the case in Europe and especially if you are Med based. Within easy sailing range are the iconic cruising grounds of Croatia, Greece, Turkey, South of France and Spain. We recommend taking out Australian or New Zealand registration or better still, buying a boat already Australian or New Zealand registered. This may add a small premium to the price but gives comfort on ownership and is popular with authorities and future buyers. If buying and then reselling you can expect some depreciation but due to good buying rates in offshore areas the losses are often quite small especially if reselling to another Australian or New Zealander. Be aware that the net result is heavily dependent on currency fluctuations, having watched rates swing backwards and forwards 20-30% over the years. We love spending time with people and listening to their dreams. Come and have a coffee with us and let us help you find the boat that you want and fulfill your ultimate adventure.